In these chaotic and interesting times we find ourselves in, there are very few things that are known for certain. Unfortunately, one of those certainties is that eventually you or your business will get hacked. According to a 2016 State of SMB Cybersecurity Report, “Hackers have breached half of the 28 million small businesses in the United States” already. This means that if you haven’t had a security breach yet, wait a little while your turn is coming. It also means that just because you run a small business, it doesn’t mean hackers won’t see you or want what you have. The reality is that hackers love small businesses because they usually don’t have the budget for or even the awareness of cyber-security measures that the big corporations have. Also, many small businesses are very lax in keeping their infrastructure secure, wrongly assuming it’s not that important because of their size. Don’t be one of those businesses. Security of your personal and business data and network should be at the top of your 2018 ‘to-do’ list if it isn’t already. It’s that important! If your business doesn’t have adequate back up procedures in place you are living on the edge and are inevitably going to fall at some point. Not only are cyber-hacking and data breaches on the rise, you also need to be concerned about technological and natural disasters such as floods, hurricanes, fires, system failures, and more. What will your business do if any one of those situations arise? Does your business have a plan in place to minimize the damages? Does your business have any backup procedures in place? If your answer to those questions are ‘No’ or ‘I don’t know’ then you need to make setting up disaster and back up policies a priority right now. Do not let another day pass without creating a safety net for your business, that is unless you’re not really into your business succeeding. 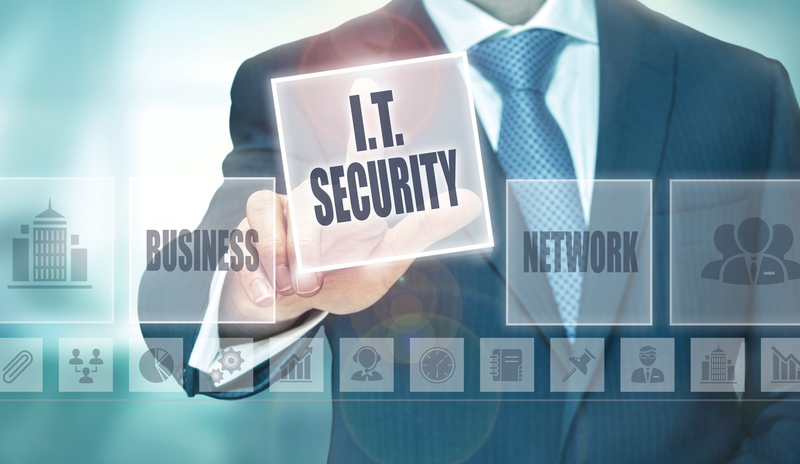 For more information on creating a Security Incident Response Plan click here. The number one way that hackers get hold of sensitive data is via networks that are not set up and protected properly. Your business might have the best security practices in place but if your network has weaknesses and holes in it, hackers are going to have a field day. Networks with security vulnerabilities are the equivalent of leaving the front door of a mansion open. Everyone is going to come in to have a look around and some of those people aren’t going to have good intentions. There are many ways to identify and correct a network’s security vulnerabilities, among them are making sure all unused ports are closed, educating your employees, and using encryption. For more information on protecting your network read our blog called How To Protect Your Business From Cyber Attacks here as well as this one on How To Secure Your Wireless Network here. The computers that are used in your business are your business’ property and therefore you have the right to control who accesses information on them and the activities that your employees can take part in while on the job. Some businesses allow employees to use the internet for their own personal activities while they are on breaks or lunch. Others do not allow anything other than what is necessary to take care of company business. Whichever side of the line your business falls to, having a written acceptable use policy in place and having your employees sign it, is a great place to start. When users are aware of the company’s rules they are less likely to do anything that falls outside those policies. Other ways to manage your company’s users are to make sure that they are only allowed to access data that is required for them to do their job. Nothing more, nothing less! This is called the principle of least privilege and a key concept in computer security. Your business should also have systems in place to monitor usage and report any unusual or forbidden activities that take place. Mobile can no longer be ignored. If your business is one of the last hold-outs to acknowledge mobile as a growing trend it’s time for you to pull your head out of the proverbial sand. Mobile is here and it’s here to stay. More people access websites and information on mobile devices such as smartphones, laptops, and tablets today than every before. People are busier than ever and they expect the companies they do business with to keep up with them. If your business doesn’t, they won’t think twice about going to your competitor who does. So what do you need to do? This one is not even negotiable anymore. All websites should be mobile-friendly. This means that it can easily be accessed, read, and used on any mobile device. Nothing is as frustrating as trying to pull up information on your smartphone or tablet and it not loading properly or at all. If your business’ current website is not mobile-friendly then it’s time for a website redesign. Don’t walk! Run to your website designer and get this done ASAP. According to Yahoo’s latest Flurry analytics, 90% of consumer’s mobile time is spent in apps. Although most of this time in apps is spent in social media apps such as Facebook, YouTube, Snapchat, and messaging apps, these statistics suggest that the population prefers to interact through the use of mobile apps. Does this mean your business needs to create an app? Not necessarily. For some businesses the cost of creating an app just doesn’t make sense. However, being aware of this trend towards mobile app usage is something every business owner should be aware of so a cost to benefits of creating an app can be analysed. It might not be something that makes sense to do today but very soon it might be a necessary way to interact with your customers. With the rise of Apple Pay, GooglePay, Android Pay, and store apps like Starbucks that allow users to pay for goods and services by scanning their cellphones or watches, mobile payments are growing at a rapid rate. According to WorldPay, mobile wallets are expected to surpass the use of both credit and debit cards by the year 2020 in the U.S. NFC World states that 39% of U.S. consumers say they would use mobile payments more frequently if more stores and apps accommodated it. What does this mean to your business? It means that pretty soon you might want to upgrade the payment methods used to purchase your business’ products and services because more and more customers, especially Millennials, are going to want to use them. The ability to pull out a mobile phone or watch rather than a credit or debit card or cash is quickly becoming the modus operandi of the general population and if your business doesn’t keep up those customers will likely go to your competitor who does. Cloud services are rapidly gaining popularity and for great reasons. They provide greater scalability, flexibility, security, and efficiency for businesses. The fact is that many companies we have grown to depend on daily are already starting to head to the cloud as well. Microsoft’s Office 365 and Windows 10 are just the beginning of the cloud services experience. You should expect many more companies to follow. Additionally, the use of Cloud services creates benefits for businesses such as the ability of services to be rapidly deployed and ready for use in minutes rather than weeks or months, the ability to deliver quality services to customers faster and cheaper, as well as reducing operational issues and costs. According to a Gallup Poll, 43% of Americans now work part of the time from home and 2018 will see that number rise. There are a number of reasons for this rapid increase. The first of which is the exponential growth of technology. Technology today allows for a lot more workers to access company resources from anywhere in the world as long as they have internet service. With a few additions of websites, passwords, and apps such as Skype just about anyone can set up a comfortable office at home while still doing their job. The second reason for this rise in remote offices is that workers today are demanding more flexibility. They want to be able to balance their work and home lives better. They want to be in charge of their lives and the ability to work from home allows them to do this. As more and more Millennials come into the workforce expect the number of remote workers to increase. Although this trend touches all demographics, Millennials especially want to have the freedom to experience life while working from a remote place. The third reason for this rise in remote workers is the savings it can afford to businesses. Businesses that allow and encourage their employees to work remotely usually find a reduction in costs due to less resources needed as well. The Gallup Poll also indicates that employee engagement increases when they are allowed to work off-site for at least 60-80% of the time, which is about 3-4 days a week. What does this mean to your business? 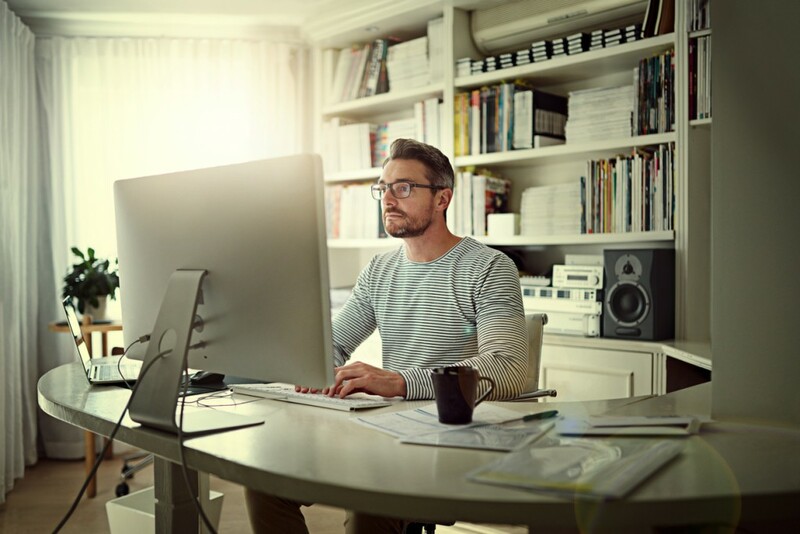 Allowing some, if not all, of your employees to work remotely, if possible, could increase not only your employees’ engagement in their work but also your company’s bottom line. It is something to be aware of as a business owner and possibly considered as an option for your company to add flexibility, employee satisfaction, and better products and services for your customers. These are just a few things that all business owners should be aware of going into the New Year. Embracing some or even all of these things as well as continuing to be innovative in your approach to technology can mean the difference between having a struggling business and making 2018 your best year ever.